The Optus and Defence C1 relay platform will operate in four different frequency bands: commercial services in Ku-band for Singtel Optus; and military communications at UHF, X and Ka-bands for the Australian Department of Defence. 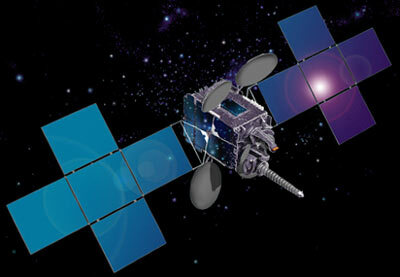 Singtel Optus has the prime contractor role to the Australian Department of Defence for the military communications payload, and the satellite was built under the responsibility of Japan's Mitsubishi Electric. The spacecraft uses a FS 1300 satellite bus from California's Space Systems/Loral, which handled its assembly, integration and testing, as well as the supply of the commercial Ku-band payload subsystem. Raytheon from the U.S. was the military UHF payload subsystem contractor. The military Ka-band payload has four 33 MHz active transponders and one spare. It will provide medium to high data rate defense theatre coverage and duplex video, along with voice and data communications. This Ka-band communications service is a new capability for the Australian Department of Defence. X-band telecommunications links provided via the satellite will be used by the military for medium to high data rate one- and two-way video, as well as voice and data communications. Service will be provided by four 60 MHz active transponders, with an additional transponder serving as a spare. The X-band communications links also are new for the country's defense network. UHF links via the relay satellite will enhance UHF capabilities already employed by the Australian Department of Defence, and will be used for low data rate two-way voice and data communications. There are five 5 kHz channels and one 25 kHz channel provided via the satellite.